Wow great tag/card love the embossing. Thanks for joining us over at Tag You’re It. What a beautiful card! 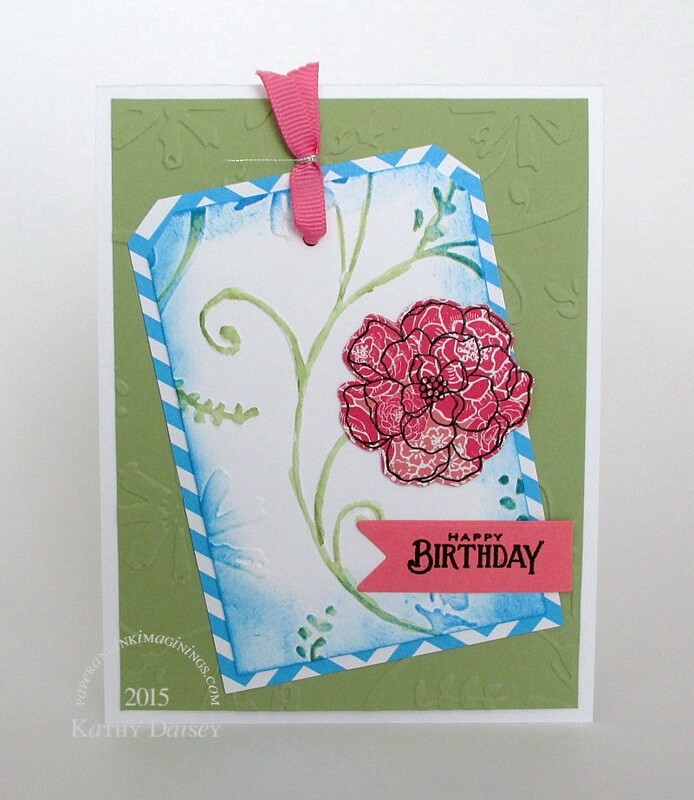 I love the paper pieced flower and I love how your embossing carries through from the tag to the card! 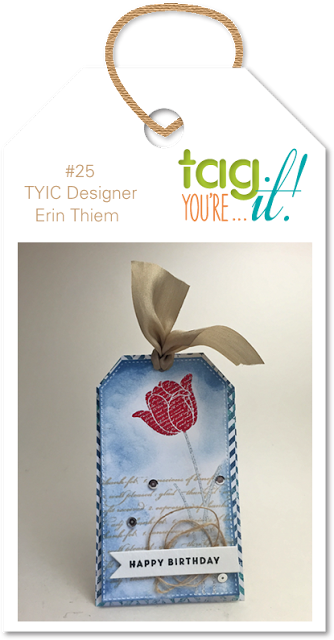 Thanks for joining in on the fun at Tag, You’re It! Thanks so much, Kara! I really enjoyed this challenge!